Engage! It only take one person to start a community. Questions of engagement. Do we fail to engage with community? Do we passively wait to find a community? Do we take a step to create a community? Click on the image below to watch this page of the employee engagement community expand. Alone in Winnipeg. A little over two years ago I was feeling quite alone in Winnipeg. Who could I talk to with and who could I connect with on the topic of employee engagement? offer the best I can. 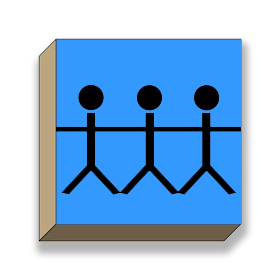 let the community evolve in its own directions. Gratitude. 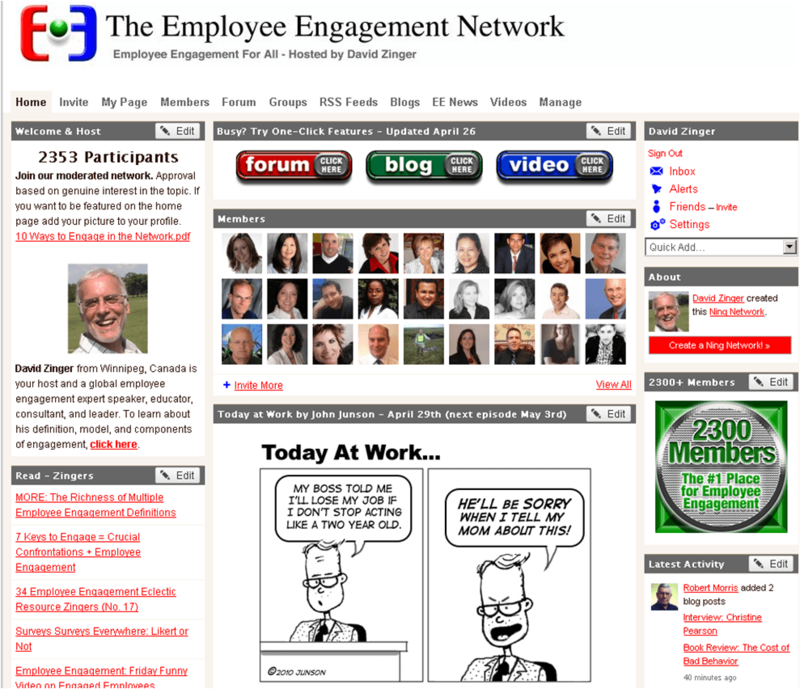 I am so thankful for the 2370+ people who have joined the employee engagement network. This community has enhanced my knowledge and perspective on employee engagement a hundred fold. Click. Even if we are on our own we don’t have to be alone. Creating your own community might be just one click away. Reach out. Connect. Engage. You can do this too on any topic you have passion and energy for. David Zinger, M.Ed., is an employee engagement writer, educator, speaker, coach, and consultant. He offers exceptional contributions on employee engagement for leaders, managers, and employees. David founded and moderates the 2350 member Employee Engagement Network. His website offers 1000 posts/articles relating to employee engagement and strength based leadership. David is involved in the application of Enterprise 2.0 approaches to engagement and the precursor, creating engaging approaches to communication, collaboration, and community within Enterprise 2.0.